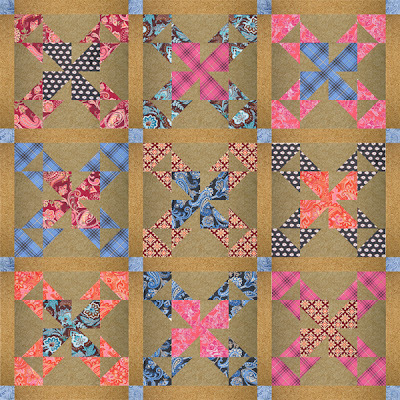 and came up with this layout.... the blocks are all sewn together... i just need to cut the sashing...put it together and finish it! 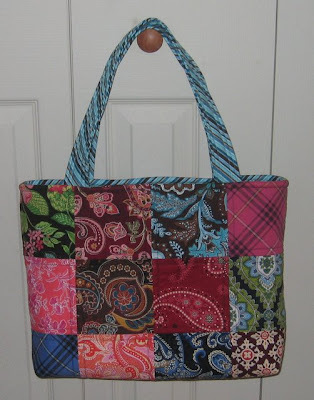 this bag is great because i can carry it with any vera purse and i'll always match! put me at 9... i only needed 3 more..
i gave in and bought a "tote" and started to take it apart... i know many people told me i was nuts but i really needed the purple!! see it needed that purple!!! now i just need to quilt it and put the bag back together! .....she has been in progress for too long! and the other looks like this.... it was all going well at first... but i was running out of time and my friend who was driving up to visit was almost here... so i stopped working on both and rushed to finish just the one... i had one handle on when i heard a knock on the door... so she got to watch me put the last handle on before she could enjoy it... she switched purses right away which was the best compliment i could have gotten! 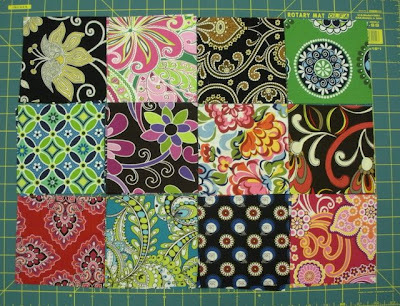 side note--- here is the back of the hope garden from the purse... i followed the shapes of the flowers for the quilting... it came out pretty well and gave me lots of practice! i just heart you and your mad skills. Wow, you have been so productive. What great work! 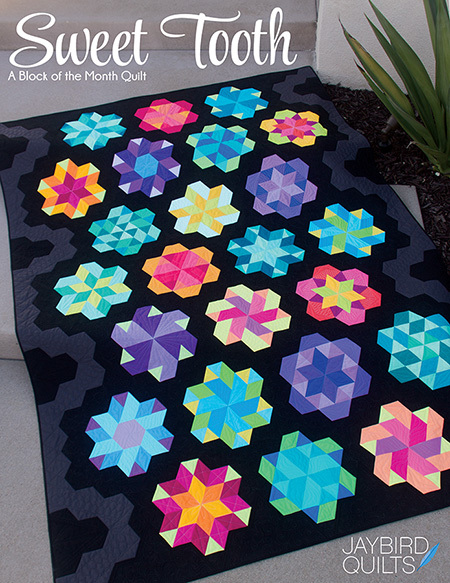 Love how you practiced your free motion quilting, that's a great idea! What a fun idea! 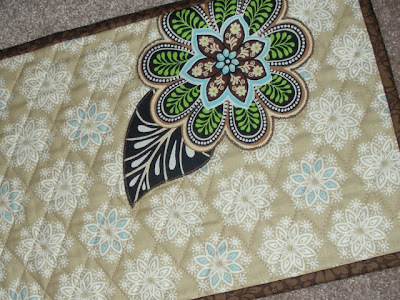 I love it all -- especially your creativeness in the table runner for your mom. I live right in the heart of Vera Bradley land and I didn't realize she had napkins??? Guess I've been snoozing! 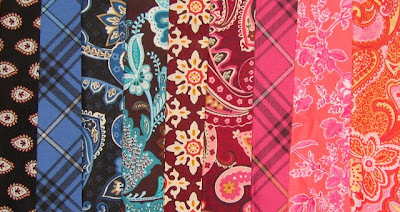 Wow...so much eye candy here...what a terrific idea for the Vera Bradley napkins! Wow! Your work is amazing. 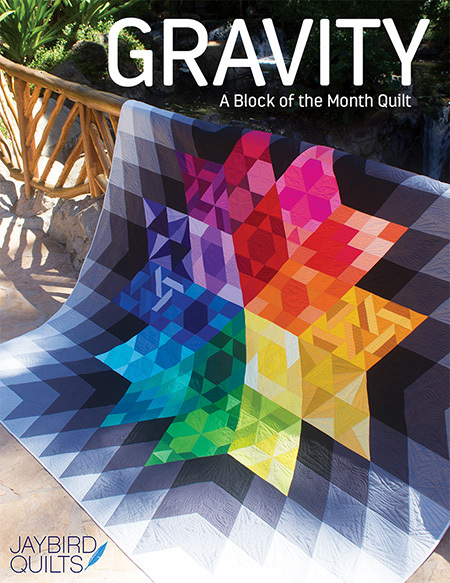 I love the quilt and the bags are fantastic. I would like to be your friend. 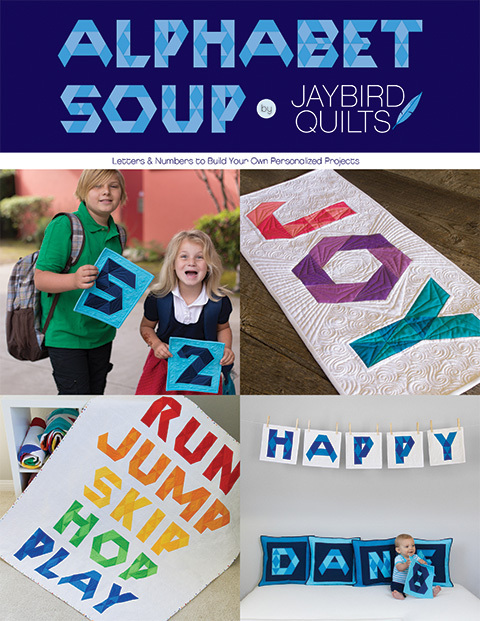 I think it is a terrific idea to use the napkins as fqs. Wow. I just kept scrolling and scrolling and scrolling. 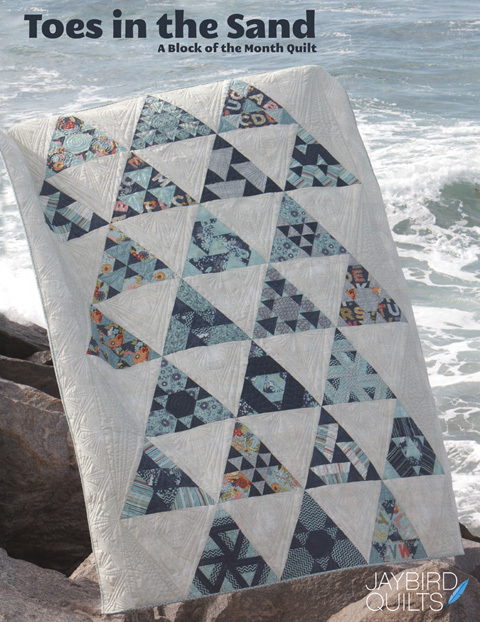 Love the fabric, quilts, bags... Everything! Wowsers!!! This could make Vera ,uch more fun!!! 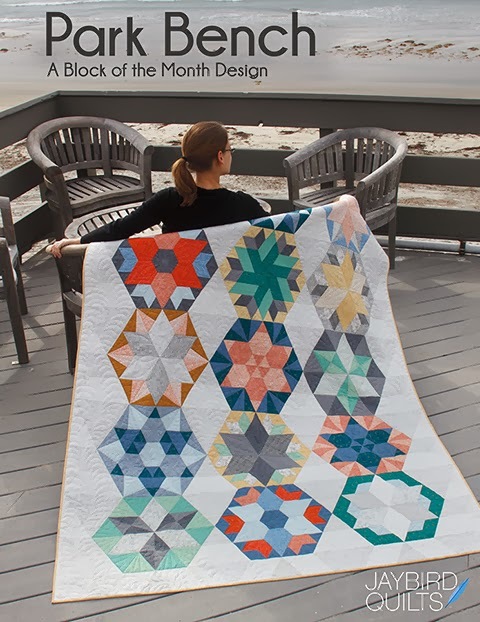 I LOVE your Vera projects! 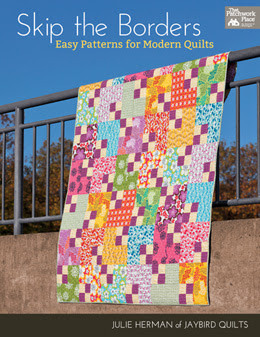 I recently had the idea to use the Vera napkins to make a quilt and was googling to see if I could find anyone else who had done it and/or some inspiration and I came across your site. 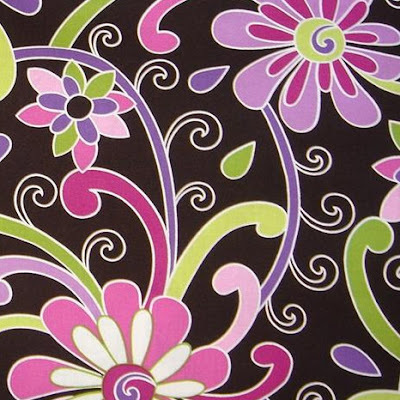 LOVE the table runner!! 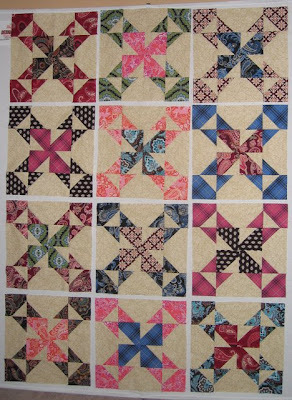 I think I am going to make a 9 patch quilt but haven't decided. I've been collecting napkins so I'm just about ready to go. Just wanted to leave a comment because I just love what you've done! !